BCC is proud to be associated once again with Engage 2019. Engage is the biggest user group in Europe focusing on IBM Collaboration Solutions. BCC has over 23 years experience of delivering solutions and services to over 800 customers around the world. Our focus on this years Engage is aroung security, automation and compliance. We will be showcasing our solutions around Mail Migration, Identity Management and Mail Management. We hope you are able to join us on the 14th and 15th of May, 2019 for what will be an amazing event. Engage 2019 will be held at Autoworld in Brussels. Every year we try to organize a major event, and an extra afternoon meeting. Every time we are happily surprised by the number of people that show up. A positive sign for sure. In Q3 of 2012 we announced that our scope expanded to include The Netherlands. BLUG then stood for 'Benelux Lotus User Group'. When IBM decided the name Lotus was no longer viable, we followed and changed the name of the BLUG events to 'Engage', at the end of 2013. In March 2016 we finally managed to officially change the name for the non-profit organisation to 'Engage User Group'.. Many companies are working with Office 365 in some way, Mail may have been migrated, Teams may be in use and other products in the office 365 suite. The IBM Collaboration suite can work hand in hand with Office 365, but how do you achieve this? User and access management of multi platforms has always been a huge challenge for companies. Cloud-based systems are adding another level of complexity on top of it. Challenges will also include system integration, mail coexistence from Domino applications to Outlook mail and last but not least rightsizing licensing. In this session we will explore some of the possibilities to work collaboratively between the ICS portfolio and Office 365 and to resolve some of these challenges. There is no dark side – it is all about collaborating with the best solutions and apps available. Sharon has been working in the IT Industry since 1996 and since 2003 she has been dabbling in all things ICS – mainly WebSphere including Application Server, Portal and Commerce, amongst many other IBM/Lotus software offerings. Since 2009 she has specialized in IBM Connections and related IBM collaboration solutions software. 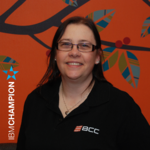 Sharon has spoken at many user groups and Lotusphere/Connect & Think, has been an IBM Champion since 2011 and is also on the board for ICON UK, the UK IBM user group. Olaf is the CEO and founder of BCC. 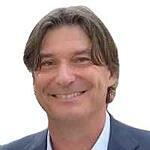 He is passionate about collaboration technologies and speaks regularly at German and international conferences. Olaf has been named IBM Champion for IBM Collaboration Solutions (ICS) in 2014 and 2015.